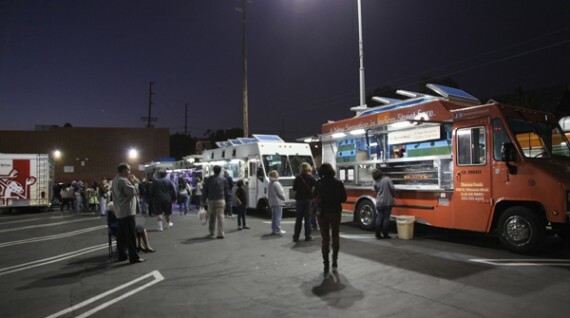 the first weekly food truck feast in highland park! 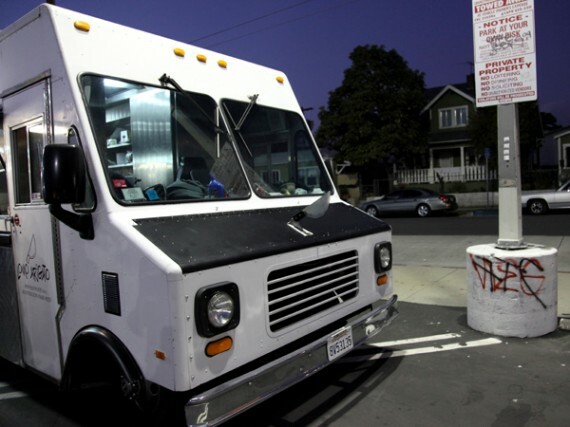 tuesday evening was pretty awesome because it marked the launch of highland park’s din din a go go, a weekly vegan-friendly truck feast in the parking lot of figueroa produce. i arrived at right at the beginning (5:30pm), and there were already tons of hungry peeps milling around, waiting to get their grub on. when i saw the multiple trucks lined up neatly behind figueroa produce to the right, i knew it was gonna be an epic night. all the trucks had vegan items on their menus (many added specifically for this event), so i had a pretty tough time deciding what to order. i chose my meals (yes, i ate multiple meals) depending on who was ready to serve and had the shortest line. first up, lomo arigato. 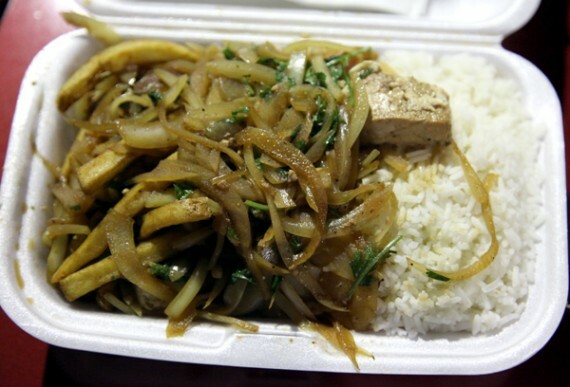 tofu lomo saltado: tofu sauteed with onions, tomatoes, french fries, soy sauce, and red wine. served over peruvian rice.